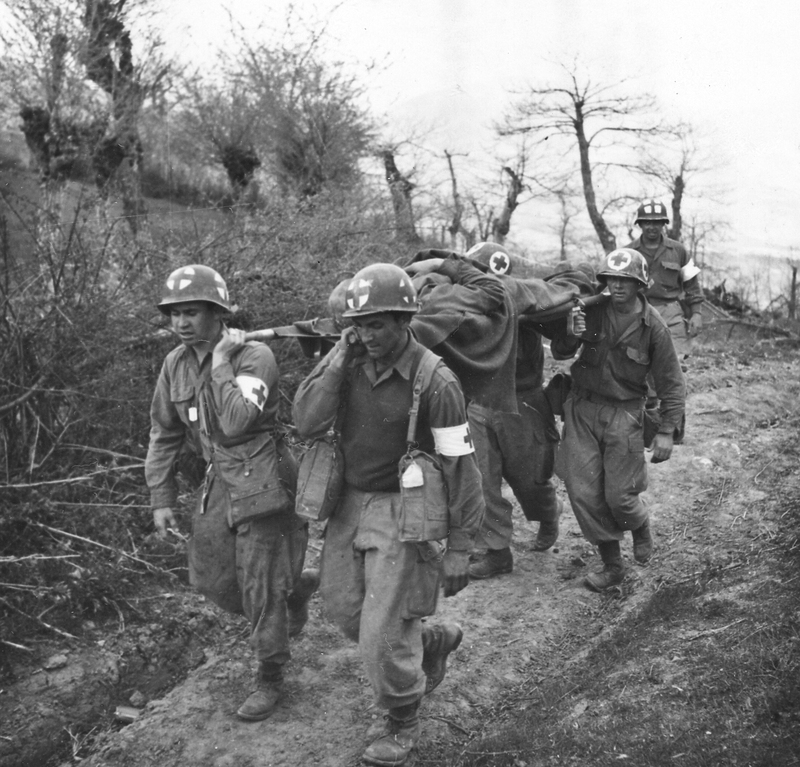 Medics of G Company, 87th Mountain Infantry, 10th Mountain Division, carry a wounded GI to an aide station during the fighting around Bologna, Italy on May 1, 1945. This anonymous GI was one of the last casualties suffered by the regiment. The next day, the German forces in Italy surrendered and the fighting came to a merciful end.